The Broken Sig Jammer adds some elite tech skill to the Broken faction, taking to the field with Tech Disruptor and Targeting Scrambler in hand to make life awkward for oppressors and invaders alike. 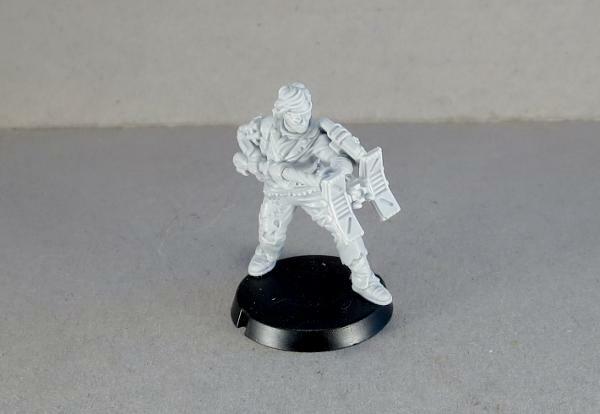 This week, we're having a closer look at this fantastic resin model. The Sig Jammer model comes in 5 parts - body, head, Targeting Scrambler and the shaft and emitter for the Tech Disruptor. 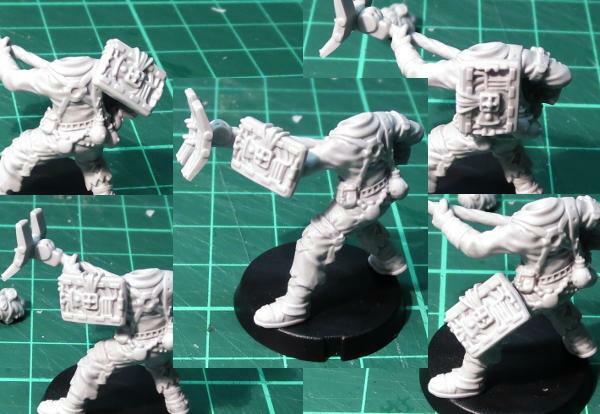 Assembly is nice and easy, although if you haven't built resin models before you might want to check out my handy guide to working with resin. The emitter piece for the Tech Disruptor glues neatly on the end of the shaft with a locator socket to seat it firmly in place. The bottom end of the shaft then glues into the haft, and the left hand joins to the extended arm. 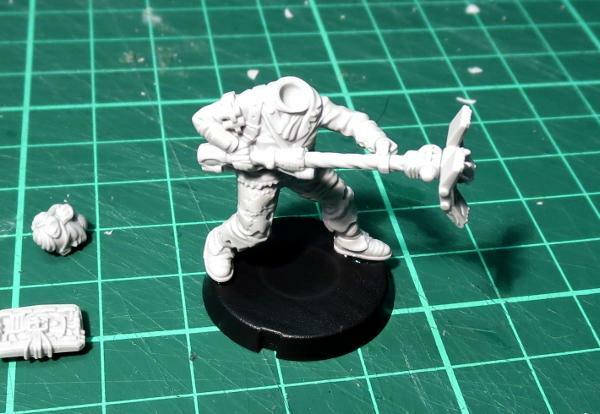 It's worth dry-fitting the disruptor before you try to glue it in place, just in case the arm isn't sitting quite right - if the disruptor doesn't fit neatly in place, check out the "Nothing to get bent out of shape about..." section in the article linked above. 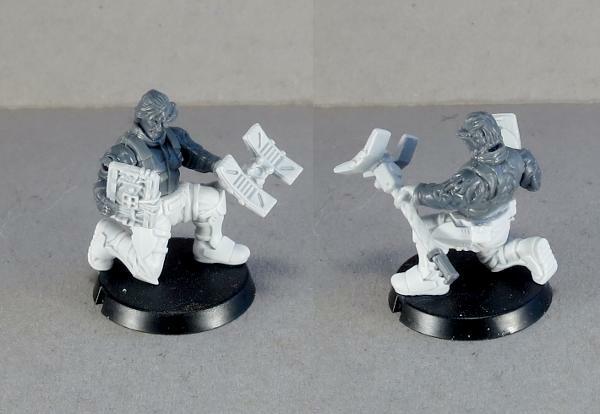 The Targeting Scrambler is designed to glue onto the model's left forearm, but goes quite neatly on either shoulder, on the model's leg, or even on the back. Finally, the head sockets into the torso, with the ball joint allowing for a wide range of movement. 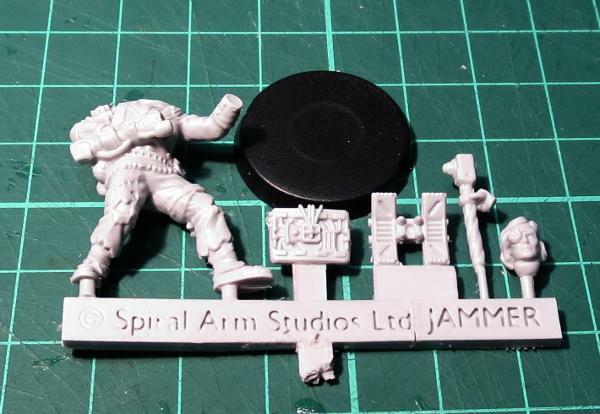 The head is compatible with the rest of the Broken range, so you can easily mix up your Jammers a little by using any of the plastic heads from the Broken Infantry Pack. 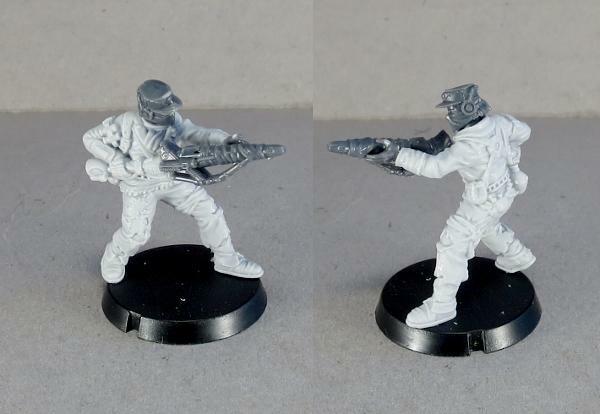 You can vary the posing a little with the addition of some other parts of the Broken infantry sprue as well. 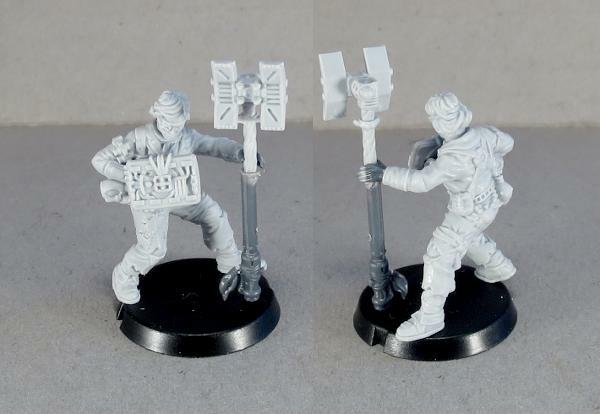 The model below has the Scrambler attached to the haft of the Distruptor, and an aerial-style Disruptor made using part of an EMP harpoon and a left hand from the infantry sprue. 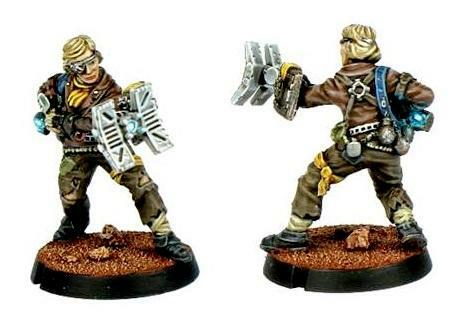 In keeping with the scavenging nature of the Broken, you can also mix-and-match parts from the other factions. 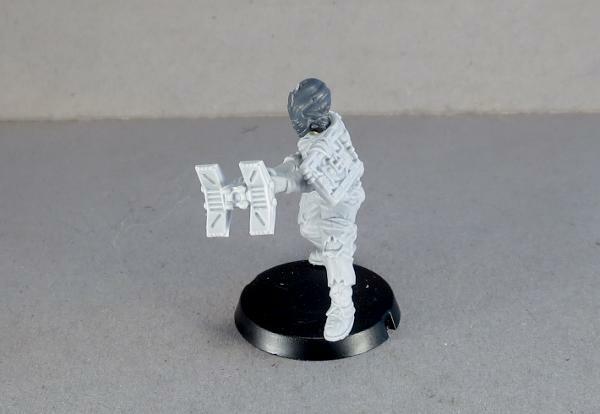 The below model has legs from a Karist Heavy Weapon trooper and the torso from an Epirian Contractor, with arms and head from the Broken Infantry Pack. With a little creative trimming and chopping, the Jammer model also makes a great fire support team member. Here, I have used the front half of a Longbeam Rifle in place of the Disruptor. Do you have a Sig Jammer model to show off? 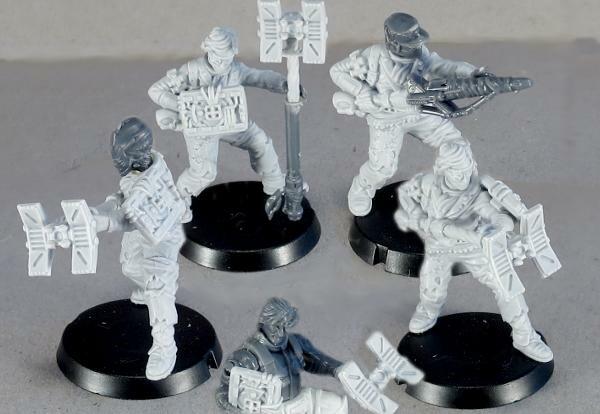 Need help with assembly, painting or gaming? Pop along to the Comm Guild Facebook page and share your work! To pick up the Sig Jammer or any of the rest of the Maelstrom's Edge model range, visit the webstore here.